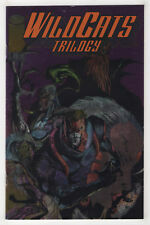 Image Comics WILDC.A.T.s Trilogy #1 Modern Age. WILD C.A.T.S Trilogy#2 Incredible Condition 9.4(1993) Jae Lee Art!! This page was last updated: 23-Apr 12:00. Number of bids and bid amounts may be slightly out of date. See each listing for international shipping options and costs.